King Alexander shows off his crown! Baby King Alexander’s family line is from Nigeria. When the family came to visit me in our NYC Newborn Photographer Studio, he was 13 days old already! Nonetheless, King posed very nicely. 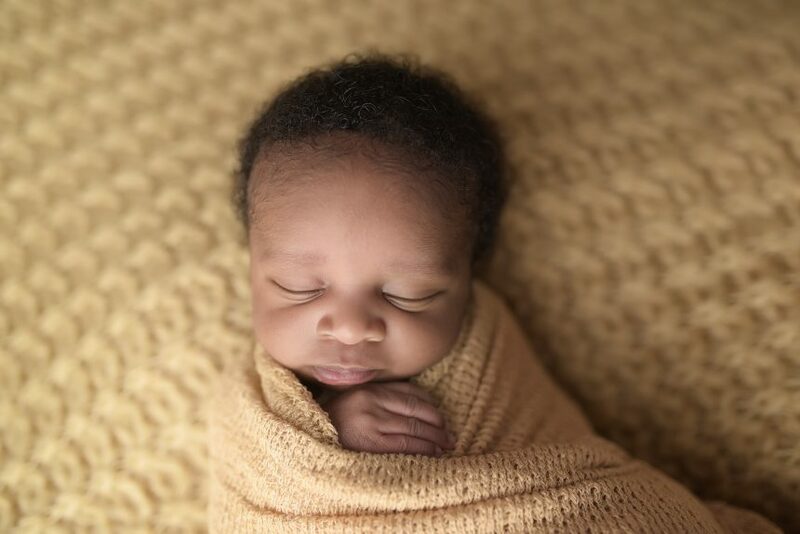 At the age of 13 days old, babies typically do really well with sleeping and posing. There is never a definite guarantee on how the baby will do or pose. Kings mom first brought him in he was 10 days but he just wanted nothing to do with sleep. He was just not him self that day so I suggested we reschedule and do try another day. It is not always possible for either my self or the parents to do this but luckily all worked out. Second time around even though he didn’t sleep all the way through his session, he certainly did very very well! King was an absolute treasure to capture, though. 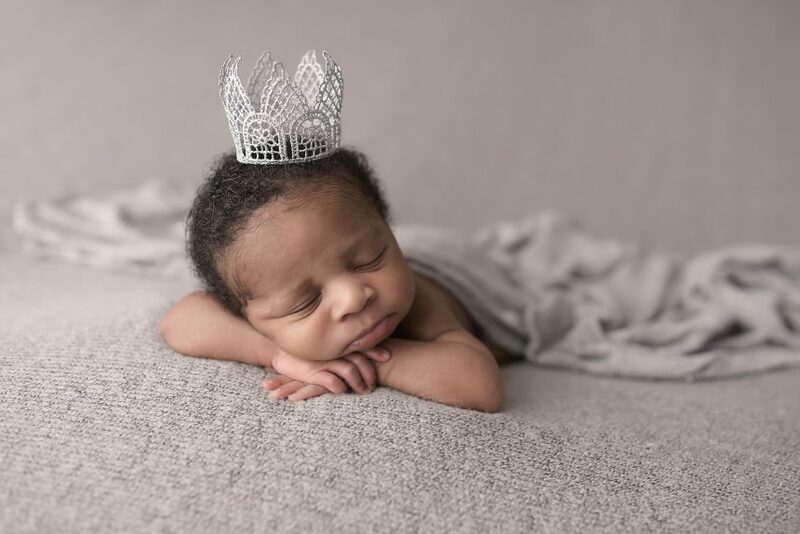 His father also asked us to use a crown for his session as its the perfect fit for his name. If his name represents a king, so should his session! Of course, we HAD to add a crown on King Alexander’s head for a couple of pictures. You can see one of these pictures above. For every newborn session, I always talk to parents about what colors they would like featured in their session. I always strongly recommend neutral colors, as they are very relaxing on the eyes. This family decided to stick with neutral colors, including yellow, browns, and greys in their session. Of course we chose wraps that matched the back drops as well. Notice that in all of these pictures, King head is not covered. I mean, look at that gorgeous hair! We decided while planning the session that King had such a lovely head of hair, that we would not use an hats to cover that up. Overall, this session was natural, but fit for a little king. I’m so excited to see what session ideas we come up with in the future for this little guy! 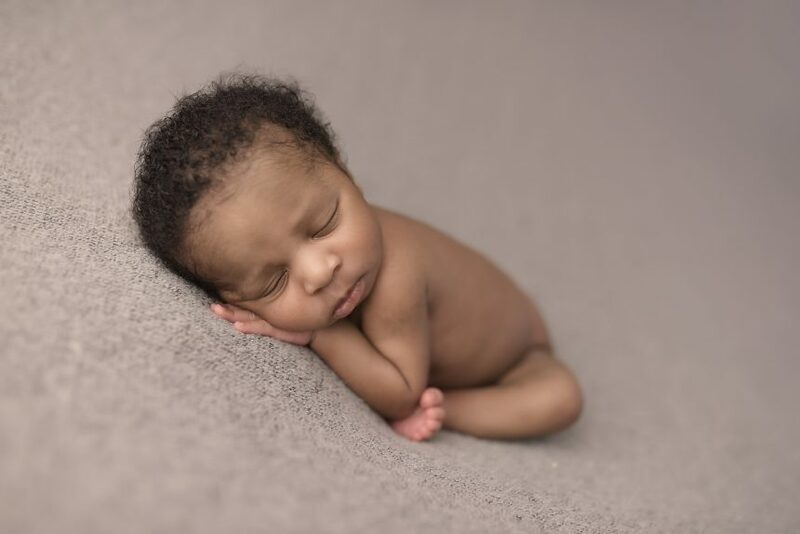 To book your conceptual NYC Newborn Photographer session today, click here!